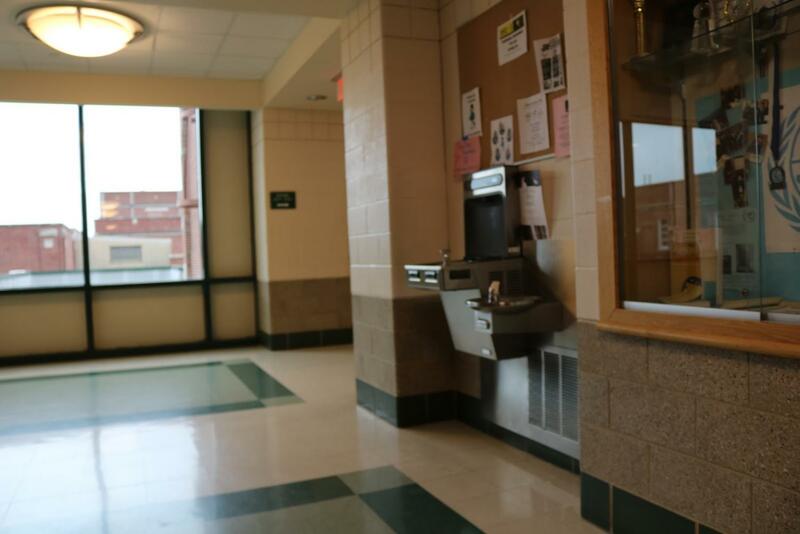 The water fountain and bottle refilling station stands unused in the third floor hallway. If you’ve recently walked down the halls of York, you may have noticed the fairly new water bottle fillers adorning the water fountains. You may have also noticed that many of the fountains’ filter statuses are red and stay that way for days on end. This issue has caught the concern of many students and faculty across the school, leaving many to stop using the fountain and bottle filler altogether out of fear that it is unsafe. The fountains have three statuses, green, yellow and red, each indicating a different stage in the life of the filter. Water from a fountain with a red filter status is often avoided by staff and students. Many students are concerned with drinking the water when the filter is red and some even avoid filling up at stations displaying the red light. 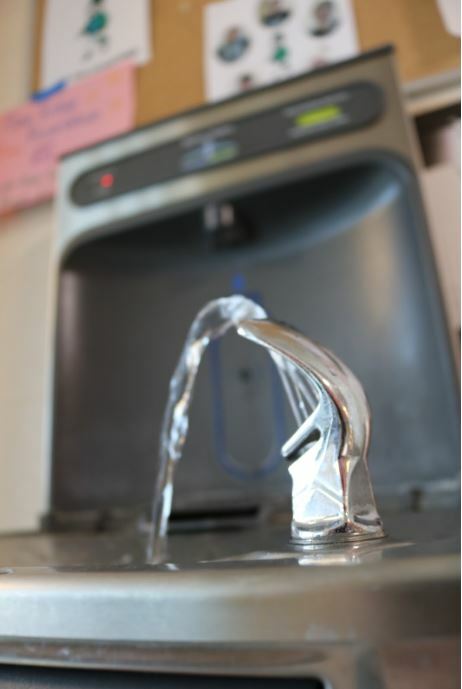 In fact only 57.1% of students surveyed think that it is safe to use the water fountain when the filter status is red. On the manufacturer’s website, it states that the filters need to be replaced every 3,000 gallons. This may seem like a lot of water but with over 2,500 students in attendance at York and the many staff members who also use the water fountains, it does not take long for the filter status to change from green to red. 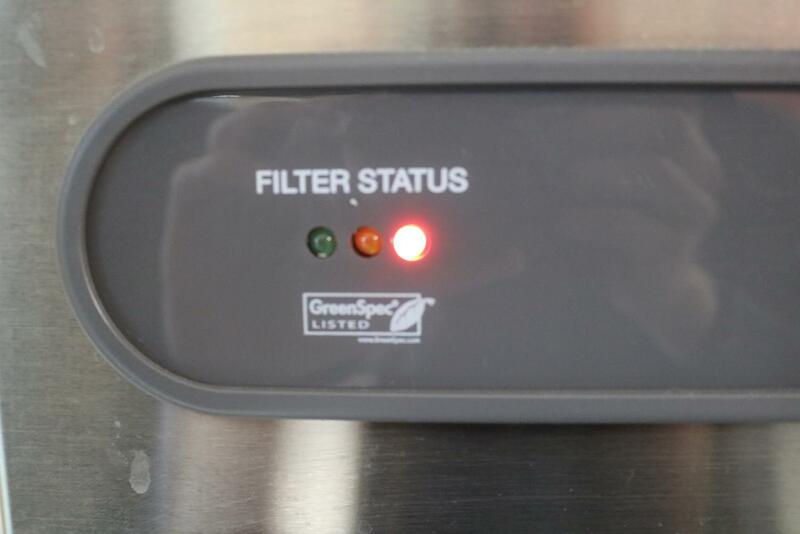 The red light filter status indicates that the filter needs to be replaced. The simplest solution to guarantee you are getting the purest filtered water at school is filling up from water filling stations displaying the green light. Drinking from a fountain displaying the yellow or red light will not harm you; the water just won’t be as thoroughly filtered. All the red light means is that the water coming out of the fountain is no different from tap water, which in the area we live in, the tap water, sourced from Lake Michigan, is safe to drink. “It is still safe to drink from (when the filter status light shines red). We still have safe tap water.” McGuire said. If a student notices that a water fountain has a red water filter status they should contact maintenance or Mr. McGuire and he will notify maintenance that the filter needs to be changed.